It’s time for us to give away free stuff again! 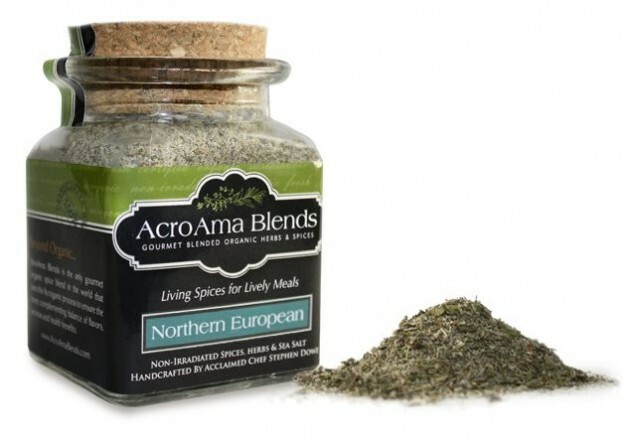 AcroAma Blends will be giving away one of each of their six gourmet organic seasoning blends to a lucky DIY Natural community member. The seasoning blend collection will include one 3 oz. bottle of each of the following organic seasoning blends: Northern European blend, Mediterranean blend, Louisiana blend, Mid-Eastern blend, Caribbean blend, and Tex-Mex seasoning blend. This seasoning collection has a retail value of $50 (including free shipping). The giveaway will run through March 31, 2013 at midnight EST. Because flavoring dishes doesn’t come naturally, I like to reach for a seasoning blend. The problem with most commercial seasoning blends? They’re FULL of MSGs, old herbs that have lost their flavor and aroma, and tons of refined table salt. Ick! You’d be better off skipping the seasonings if that’s what you’re putting on your food. The organic spice blends from AcroAma are formulated for different cuisines – one that will give a Caribbean flare to a meal, one that will impart the flavors of the Middle East, another that will turn a meal into a Tex-Mex favorite, and many more. All their blends already contain salt – but not just regular table salt – French grey sea salt, which was chosen for its superior mineral content and lowest sodium content over all other sea salts. So with the 6 different spice blends they offer, you could cook a dish that would transport your family to another corner of the world, almost every night of the week. Convenience is top on my list during dinner time, and AcroAma Blends simplifies the cooking experience and makes any amateur cook look really good. AcroAma Blends is unlike any other spice company out there. Just about everything they do, from production to packaging, makes this spice company unique. They are concerned with sustainable production, transparency in labeling, and using the highest quality ingredients. AcroAma Blends are 100% certified organic, grown on land that has not been stripped of its minerals and enzymes. You’ll never find anything questionable in this product, and everything that goes into these blends is listed on the label. 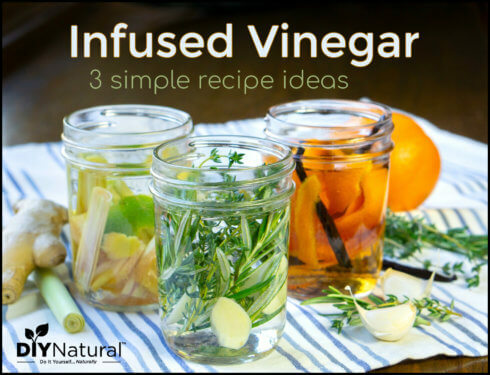 Did you know most spice blends on store shelves are irradiated? This means low doses of radiation are applied to the product. Irradiation damages the oils in the plants, making the fragile oils evaporate more quickly. You’ll be able to smell the difference with AcroAma blends – which are NEVER irradiated – so those oils are intact and wonderfully fragrant. Striving to have the lowest environmental footprint possible, AcroAma uses only glass bottles and recycled packaging. If you’re the lucky winner of this giveaway, you’ll get to try every hand made spice blend this company offers. You will have a whole collection of gourmet organic seasonings for almost every type of dish you want to cook! 1. Click on the link below to sign up for the AcroAma newsletter on their site. This is the mandatory entry. This Giveaway has expired – congrats to the winner, Victoria F! 2. Click the link in the Rafflecopter widget below to show you did the mandatory entry. 3. Sign up for extra entries using the Rafflecopter widget. You can earn an extra entry for sharing this giveaway on Facebook, Twitter, Google+, and 5 extra entries for pinning this post on Pinterest – AND by – linking/following/subscribing to AcroAma Blends on Facebook, Pinterest, YouTube, and Twitter. Note: This giveaway is open to U.S. residents only. A winner will be chosen via random.org. We will announce the lucky winner on Monday, April 1st, 2013 in our newsletter and on Facebook. The winner will have 48 hours to contact us with his or her full name, address, and phone number. There is no purchase necessary to win. As a bonus, AcroAma will be offering free shipping ($8.95 value) on all orders over $25 for one week after the giveaway ends. The free shipping will appear in your cart automatically once you have selected $25 or more worth of product. You must enter the giveaway in order to receive this bonus from AcroAma, and they will email you the coupon for free shipping after this giveaway ends. 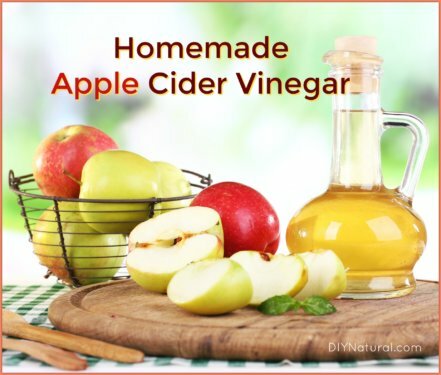 Disclosure: DIYNatural.com has a business and affiliate relationship with AcroAma Blends and may receive a commission on referrals or sales generated. This is an amazing site and it’s helpful info at it’s best. I would love to win this and try on my family!!! Thanks for sponsoring this give away! Thank you so much for this opportunity. Can’t wait for the newsletter. Thank you for the opportunity to win this great prize! 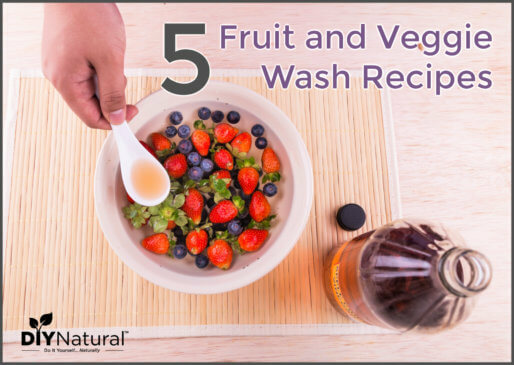 I am new to your product and excited to try some of your recipes. Thanks for sponsoring a great give away. Woohoo! Doesn’t it feel good when you get all the extra entries? Good luck! Yes, it does and thank you for this opportunity! I signed up for their newsletter! Would love to try these spices to perk up my dishes some. Seems like everything is tasting alike. I’m in the same boat! Lol. Wonderful website, information and ideas. I just signed up for the giveaway and made my first batch of laundry soap from your recipe. Keep sharing! Awesome! Good luck on the giveaway, and I hope you love the laundry soap! That would make a good t-shirt or bumper sticker, wouldn’t it? Lol. thank you for the opportunity and also for sharing your ideas! Thank you for sponsoring such a great giveaway. We’re glad you love our info Tera!